Saw this just after noticing the pair in #116. You can see the pair by the curb in this picture. 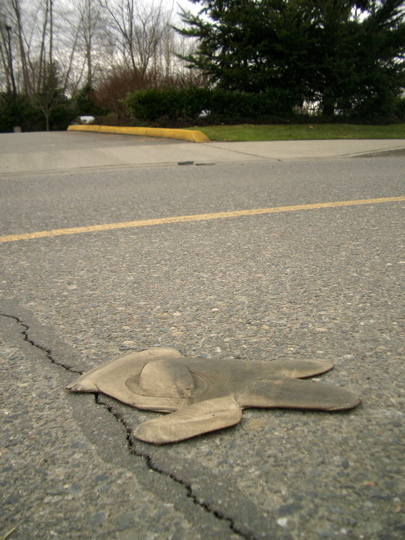 This entry is filed under Lost Gloves, Photo Log. You can follow any responses to this entry through the RSS 2.0 feed. Both comments and pings are currently closed.